THE CONTRACT for Cyprus’ first integrated casino resort, the only one of its kind in Europe, was signed on Monday in Nicosia between the gaming authority and the Melco Hard Rock consortium and is designed to provide for an investment of €500m, attract an extra 300,000 tourists a year, and to add 4,000 jobs. The contract was signed at the Filoxenia Conference Centre between the president of the National Gaming Authority and Andy Choy, chief gaming officer, of the consortium of Melco International Development Ltd, Seminole HR Holdings LLC (Melco Hard Rock) and CNS Group (Cyprus Phassouri Zakaki Ltd). Energy, Commerce and Tourism Minister Yiorkos Lakkotrypis, who addressed the event, touted the fact that the Limassol complex would be the only integrated casino resort in Europe, which will be based in Limassol, and will include four satellite casinos in Nicosia, Larnaca, Famagusta and Paphos. The main resort will also be the largest casino in Europe, the minister said with 136 gaming tables, 1,200 gaming machines, a luxury hotel with 500 rooms with the capacity for expansion, a conference hall spanning 6,000 square metres that can accommodate audiences of 1,500, and a wellness centre covering 4,000 square metres. “Total investment is expected to exceed half a billion euros and is estimated to create more than 4,000 jobs during the construction phase and the same number during operation,” Lakkotrypis said. “This is undoubtedly, a project that will enrich our tourism product, attracting an additional 300,000 tourists annually and contributing significantly to combating seasonality,” he added. The casino licence allows for the operation of an integrated casino resort in Cyprus for 30 years, as a monopoly for the first 15. 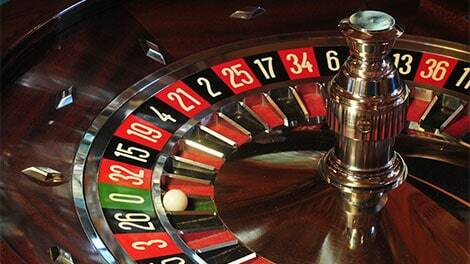 Finance Minister Harris Georgiades said earlier this year that the casinos would bring in €100m a year in taxes. The satellite casino in Nicosia is estimated to be up and running this year, and a temporary casino in Limassol – until the full-blown casino resort is ready. This will likely be located at the current premises of the Monte Caputo nightspot on Amathus Avenue. Construction on the resort – which will include a luxury hotel and theme parks – is expected to be completed by late 2019 or early 2020. Lakkotrypis said that due to its size and importance, the casino was probably the most important project Cyprus has seen in decades. He also said it was important that part of the government’s vision was that the casino would operate in a controlled manner so that vulnerable groups would be protected. The previous government under Demetris Christofias had vowed to never allow a casino for social reasons but the financial crisis in 2013 prompted the current government to see it as a way to attract investment. Lakkotrypis said the age restriction has been set at 21. “Our goal is the improvement of incoming tourism, increasing arrivals, and average spending per capita, and also to see this contribute to the ongoing efforts to address the problem of seasonality in the Cypriot tourism industry,” he said. The casino operations will be overseen by the six-member National Gaming Authority, set up only five months ago, headed by Christos Mavrellis who said during the signing ceremony that its mission would be among other duties, to make sure the operation did not fall under criminal influence or exploitation. The body will also make sure the games in the casino are conducted honestly, to make sure the operator complies with the terms of the licence and to monitor any negative social consequences. “We shall exercise our authority and perform our duties and responsibilities in good faith always aiming at making this ambitious project a success,” he said. Hard Rock International has venues in 71 countries, 168 cafes, 23 hotels and 11 casinos. Beginning with an Eric Clapton guitar, Hard Rock owns the world’s greatest collection of music memorabilia, which is displayed at its locations around the globe. The company owns, operates and franchises cafes in numerous cities including London, New York, San Francisco, Sydney and Dubai. It also owns, licenses and/or manages hotel/casino properties worldwide. Destinations include the company’s two most successful Hotel and Casino properties in Tampa and Hollywood, as well as other locations including Bali, Chicago, Cancun, Ibiza, Las Vegas, Macau and San Diego. Cyprus Phassouri (Zakaki) Limited (“CPZL”), is a member of the CNS Group which, amongst others, conducts different businesses including real estate, telecommunications, dairy, large scale farming and export and mining in Cyprus. The group has a chain of hotels in Greece and the AKS Annabelle Beach Resort on the Greek island of Crete. The allure of the tax-revenue I suspect will have been too much to resist (like here in the UK). I agree with what many have said about the ‘sidelining’ of the other benefits the island has. But – society is society – and if all people want to do is gamble and get drunk – then all the government will do is start architecting legislation ad taxation around these ‘leisure activities’. Is it really entirely government’s fault – or societies? Cyprus, being on the very of edge of Europe and one of the smallest islands is getting the largest casino in europe. I know its good to think big, but I’m with Elena on this. We do not need it. I thought the people of Cyprus were very much into their Christian beliefs. I can just see it now, just after Easter, lets pop down to the casino, they have free food you know. Why not just build the tallest hotel in Europe or something. I am sorry Elena, but to quote you “the low money grabbing individuals whose only values in life are making money” individuals are endemic on this island, (the developers, lawyers and civil servants to name but three) to what may have been once a very long long time ago in maybe the middle ages “the most beautiful and spectacular country that exists in Europe”, but is no more. Next to Football gambling is the Cypriot National sport, it only takes a walk down any street to see betting shop after betting shop. If this Casino is well run, licensed and regulated at least some of the profits will be going back into the government coffers. @Elena. Was about to write the same but you have said it all, with eloquence. This is the beginning of the end of the Cyprus we have known and loved, and sadly, those yet born will never know it…. @Elena, partly agree, but you will be challenged on the claim Cyprus is the most beautiful county in Europe, with regards to the actual people, you know and I know that MONEY has corrupted many…it is all about the money and the quick money alas. Where do you want me to start? the masses of those who are lining up for jobs e.g as teachers? not for the love of the job but for the easy money….or for that matter all the other numerous high paying public sector jobs were there is limited accountability and a job for life, we have a massively inflated public sector. Hate to tarnish them all with the same brush but I have…hopefully generations to come will not take after them. This news made me physically sick! I am ashamed of our Cyprus government – our government has taken the attitude of corporate greed and corruption – our Cyprus government have thrown away all their values and headed for the low money grabbing individuals who’s only values in life are making money. Why can we not respect and appreciate the most incredible gifts that this Cyprus island has got – its nature, its mountains, the unspoilt beaches and countryside, the traditional villages and people. We have the most beautiful and spectacular country that exists in Europe, and that also includes our peaceful and beautiful Cyprus people and now Cyprus government want to throw this all away and build a monstrosity of a Casino and bring all the wrong people to our beautiful island who do not care about our island, our traditions, our love of this island, just corporate greed! I am ashamed of our Government – not our people! this is a government decision – you have sold yourself out to the highest bidder Cyprus government and one day you will be sorry, very very sorry for your actions!!! Please be patient, we are doing our best!